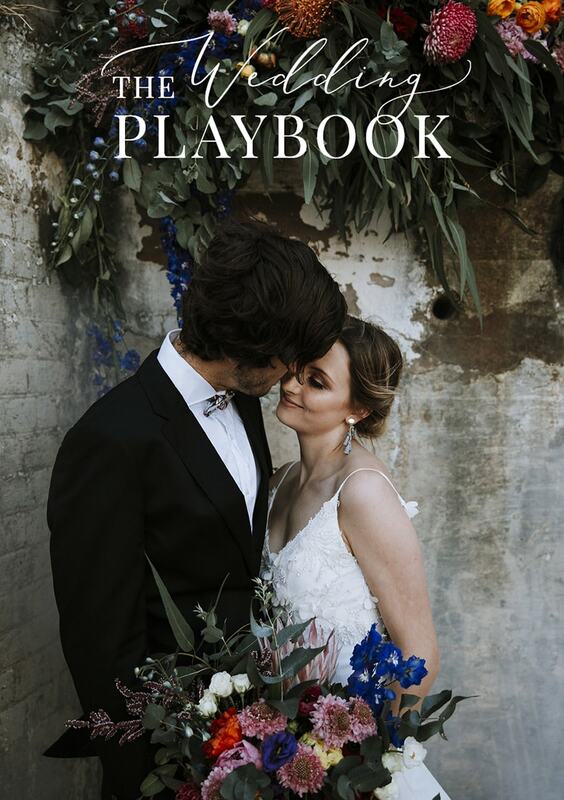 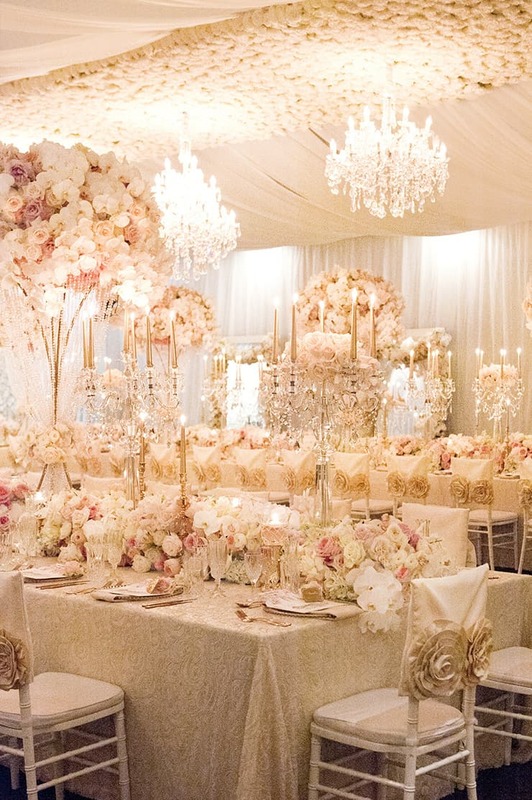 For the ultimate in luxurious wedding reception inspiration, look no further than this elegant setting created by international event designer Karen Tran and a team of talented wedding professionals for her Brisbane masterclass and gala dinner. 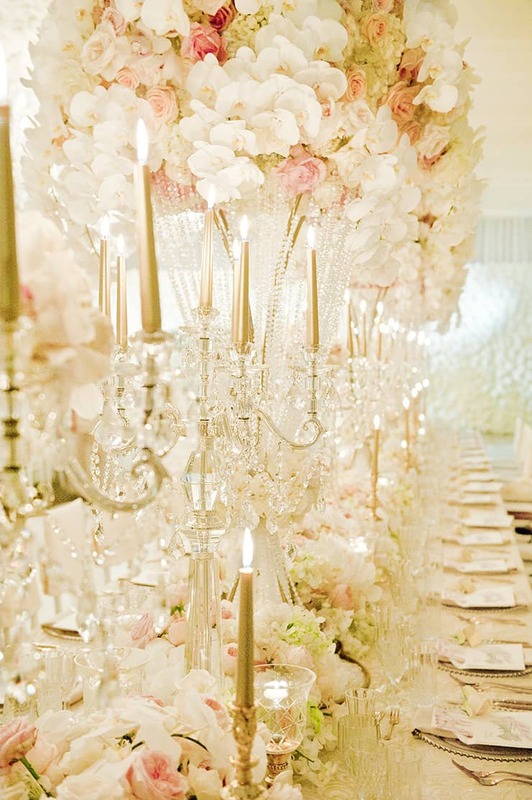 Using 10,000 roses, 1,000 stems of Hydrangea and 350 stems of Phalaenopsis orchids, the space was transformed under Karen’s expert guidance, creating a romantic white and blush confection that was nothing short of breathtaking! 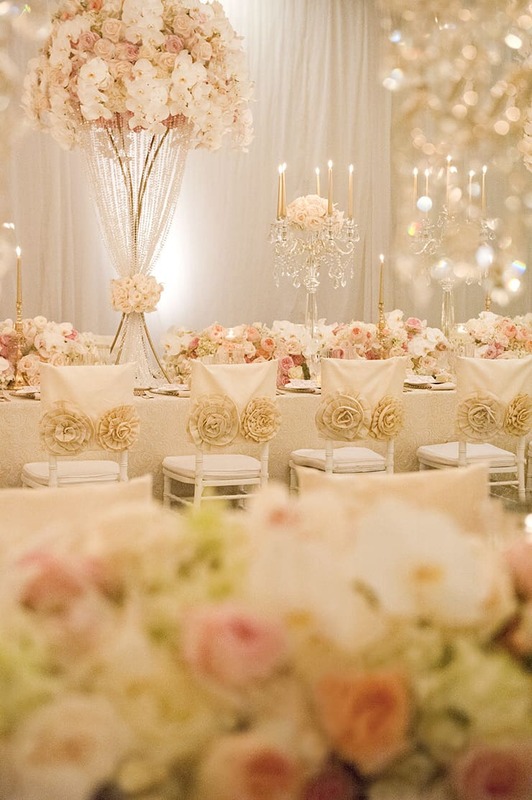 Soft draping, chandeliers and mirrors rimmed with floral garlands frame the space. 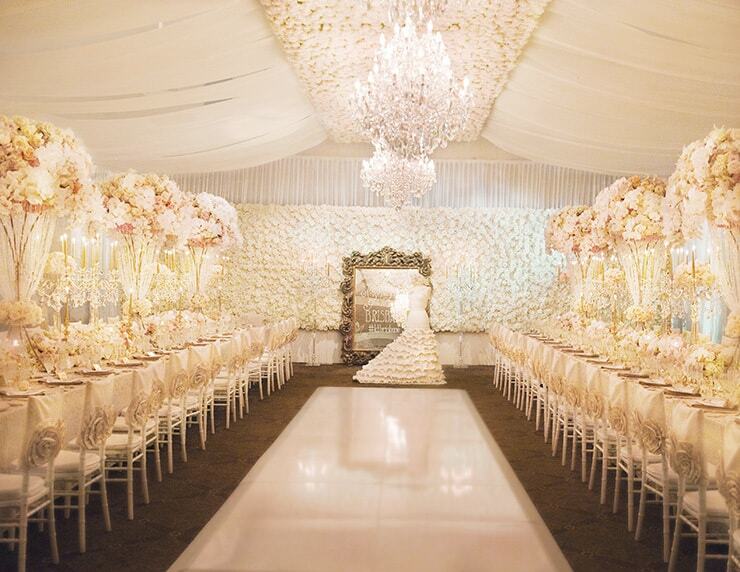 Beautiful focal points are the dramatic watercolour floral wall and life-sized cake in the shape of a couture gown. 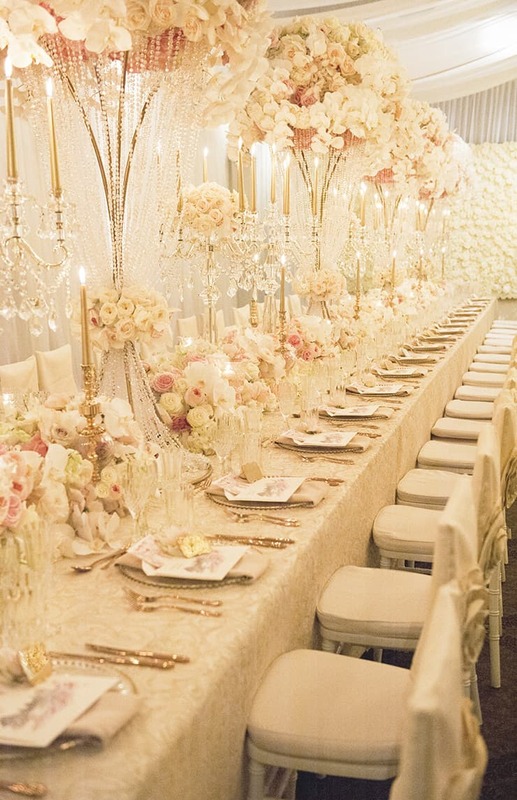 Fresh floral table runners and rosette chair covers continue the lush theme, with crystal candelabras, gold charger plates and gold cutlery adding to the opulence. 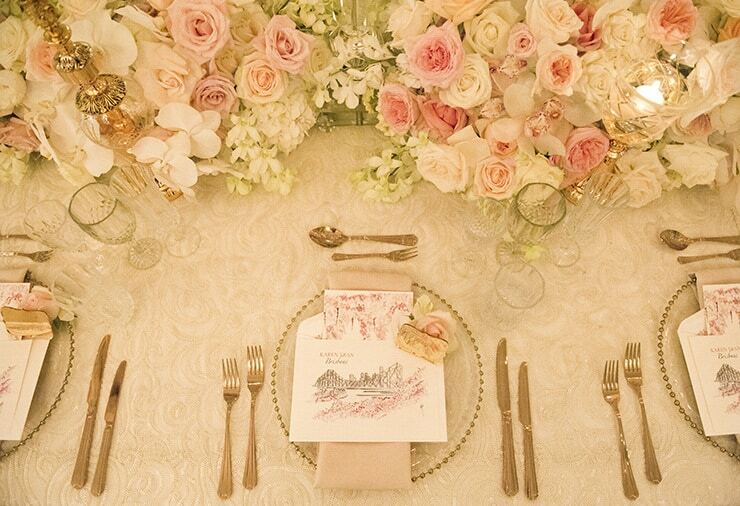 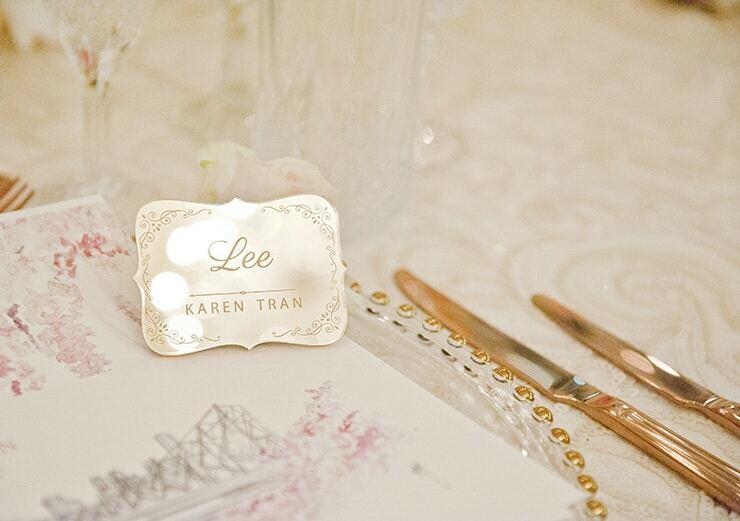 Watercolour menus and mirrored place cards offer a delicate link to the soft palette. 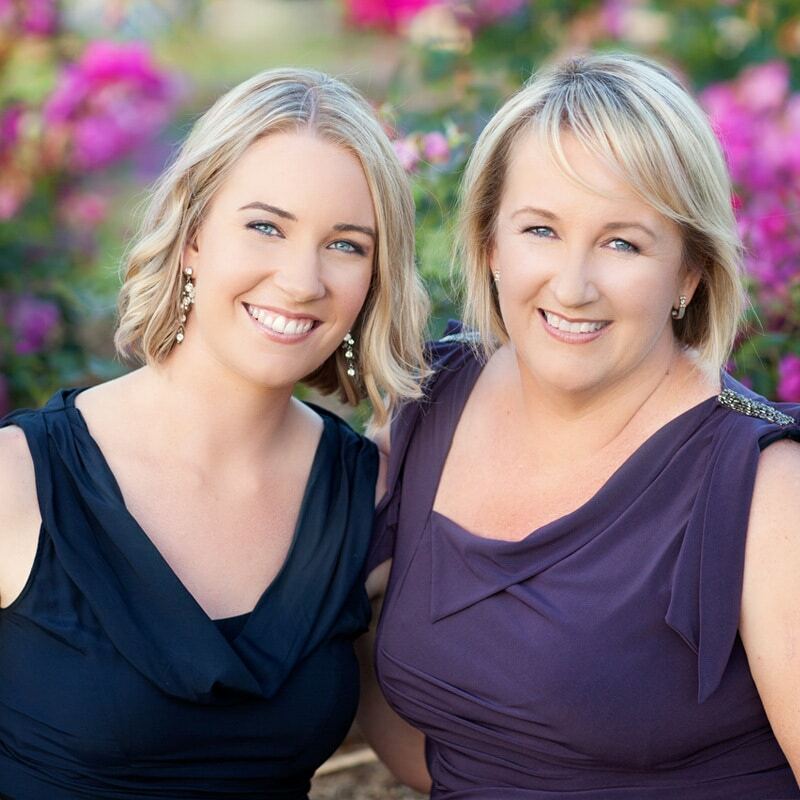 “Karen is an absolutely joy to work with – her vision, professionalism and generosity of sharing her knowledge with everyone she meets is truly inspiring. 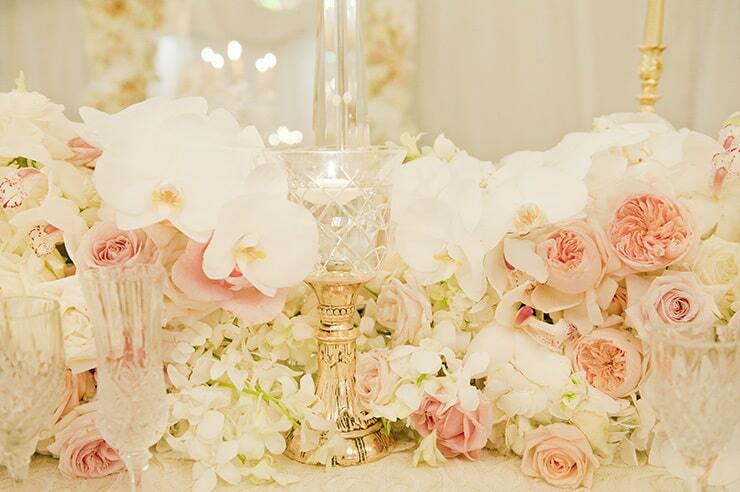 Stylists and florists from around the world attended her two day masterclass – I don’t believe the participants had ever seen so many flowers for one event! 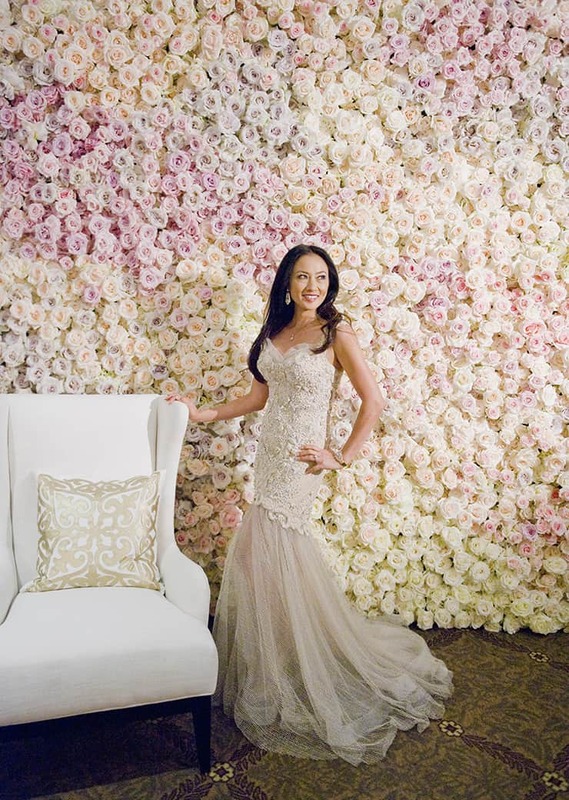 The highlight for many was the creation of the stunning three metre floral wall. 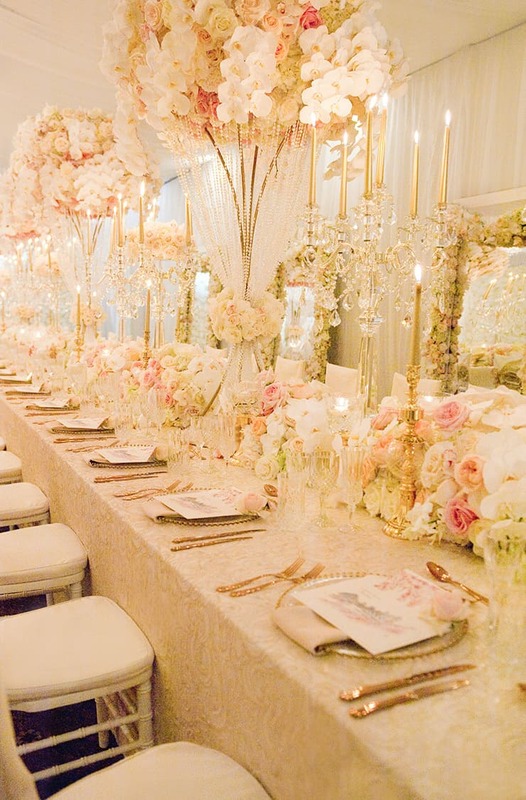 To see this setting come to life, view the film below!